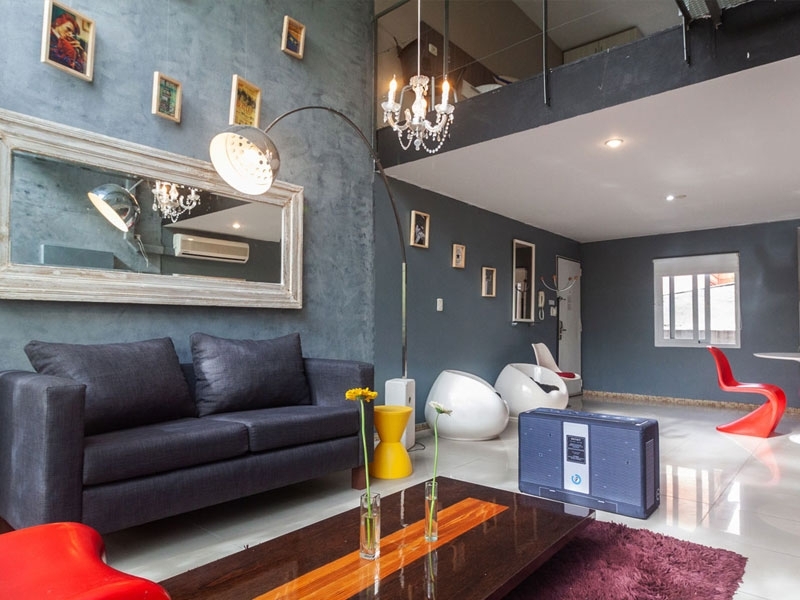 Apartment in Palermo Soho, Buenos Aires - Blue Loft ! Bright, colourful and stylish, this 700 square feet loft in the heart of Palermo Soho has an amazing private rooftop terrace – Picture the view! If something is certain about this apartment for rent in Buenos Aires, it's that it has plenty of character. Black and white tiles blend with chandeliers and Pop Art, creating a very cool contemporary atmosphere. The sun floods the room throughout the day, slightly filtered by the outside foliage, creating an interesting composition that casts a shadow over the walls, worthy of a Roy Lichtenstein painting. The bedroom is located on the mezzanine level, and is accessed by a spiraled black iron staircase, connected by a metal causeway. This space has a very contemporary feel and blends seamlessly with the rest of the apartment, the double height windows creating an illusion of openness and space with a backdrop of trees, chic city living almost meets countryside! 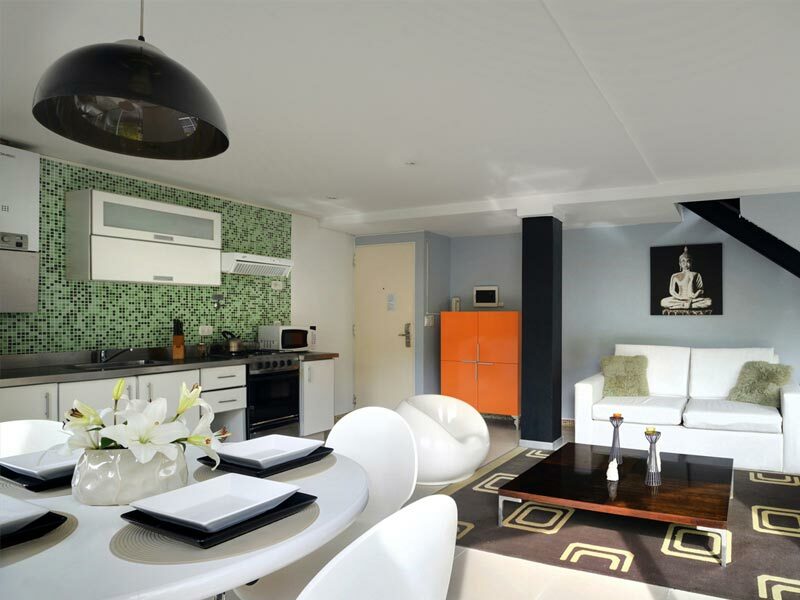 This apartment is set in the same building as Camel, Red, Violet, White and Orange Lofts, so it is also ideal for a group of friends or work colleagues looking to share a vacation or work assignment while still having your own privacy and space – A great alternative to a hotel room!